The UW Oshkosh Foundation wants the school to pay back rent on the campus welcome center. Just a day after a federal judge ordered mediation for the University of Wisconsin Oshkosh Foundation and the UW System Board of Regents, the foundation has filed a new legal action, asking for $730,000 in back rent. 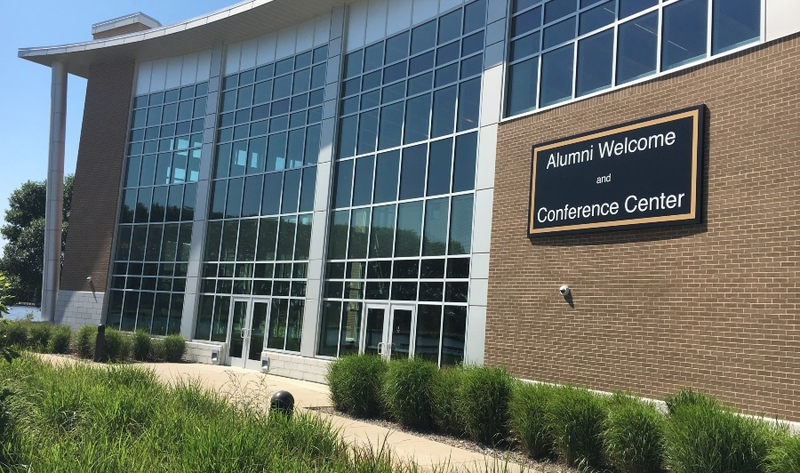 The lawsuit, formally described as an “adversary complaint to recover fraudulent transfers,” is based on the fact that UW Oshkosh has been using the foundation-owned Alumni Welcome and Conference Center without paying for it. The welcome center overlooks the Fox River at the intersection of Wisconsin Street and Pearl Avenue. The building has 40,000 square feet of usable space--15,000 square feet of Class I office space and 25,000 square feet of conference and meeting space, according to court papers. The foundation argues that at market rates the university has been getting upwards of $365,000 a year in value by using this space without paying for it. One of the university’s largest customers for conference space has been Oshkosh Corp., which has paid the school about $150,000 since 2014, according to figures released earlier this year under a public records request by the Oshkosh Examiner. Some of the office space in the building is occupied by the university’s Office of Advancement, which recently began raising funds for a newly formed nonprofit called the Titan Alumni Foundation. The emergence of this rival foundation has spurred allegations that university officials have improperly interfered with donor agreements to cover some of the costs of the welcome center. In a bankruptcy case, the presiding judge has the authority to review, and undo, completed transactions stretching back two years before a debtor seeks court protection. For this rule to apply, the transactions have to be found to be fraudulent according to a technical definition that takes into account whether a deal would have been struck in the ordinary course of business. Here the foundation is arguing that its understanding with the university was unfair because it was stuck with the loans for the building while giving the school free use of the facility. The foundation “allowed the university to pay no rent for use of the welcome center based on a mistaken assumption that the defendant would voluntarily pay its indebtedness which was due,” according to a court filing. “Other businesses would not incur $10 million in debt constructing a facility and allow a third-party to use it without paying rent,” the foundation said. During the time of the free-rent arrangement, the foundation affiliate that owned the welcome center was insolvent because the liquidation value of the building was less than its debts, court papers say. It’s unclear what the effect of this new claim will be on the upcoming mediation process. The filing establishes a monetary value that the UWO foundation may be able to use in negotiating a settlement with the state. Tim Mulloy, the chairman of the foundation, was not immediately available for comment. The university and the board of regents have a policy of not commenting on litigation.